I have been collaborating with my good friend, the marvellous Susan Crawford, and Noblesse Oblige is my contribution to her "Knits in a Cold Climate" collection. When I was given the design brief by Susan, I knew I wanted to use the wonderful colour range in Susan Crawford Fenella. Inspired by my recent forays into knitting archives, I began sketching Fair Isle bands but it was not until I uncovered a photo of a 1930s knitting pattern that I decided upon the colour scheme. The jumper is charming, but I fell in love with the red/green/yellow motif. Could I use these colours in a more traditional setting? After several attempts, I hit upon a 1930s inspired hat and scarf using that red/green/yellow combination, but also tempered by a soft porcelain blue and a delightful creamy white. 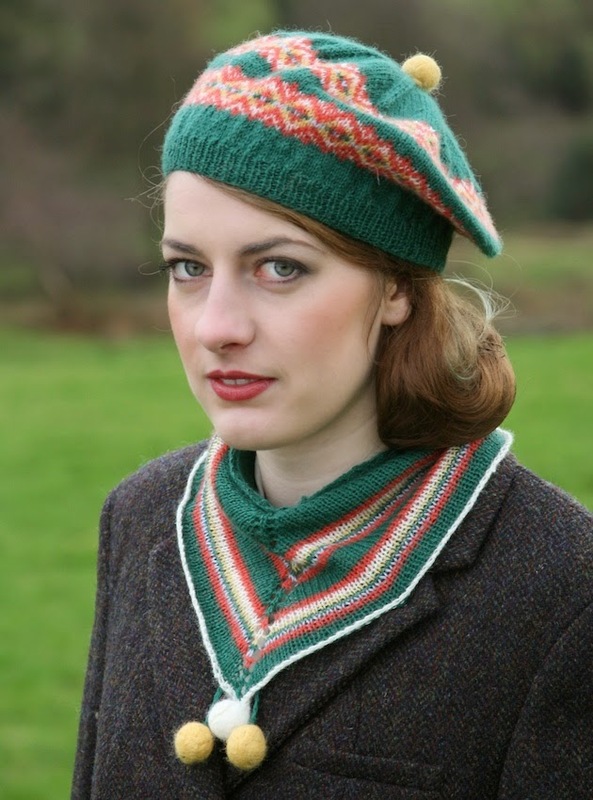 The jaunty beret features two Fair Isle bands that counteract each other to create a sense of dynamism. 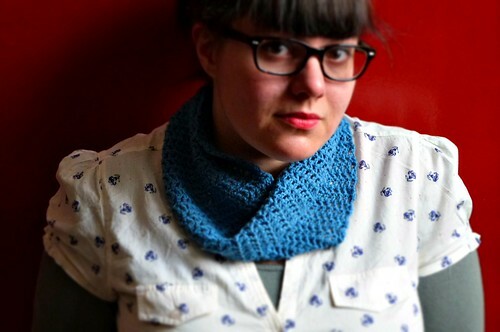 The scarf comes in three sizes - you can make it a neckerchief, a small scarf or a full-sized shawl. To optimise knitting pleasure, the scarf does not use Fair Isle bands but features narrow stripes in a colour sequence that calls back to the beret. After much discussion, Susan and I agreed that small, felted pompoms would add a delightful finishing touch. Naming the pattern was harder. I wanted to use one of Nancy Mitford's book titles, but neither Christmas Pudding nor Pigeon Pie seemed appropriate! Finally, Noblesse Oblige seemed to suggest itself - it is a collection of essays and I rather enjoyed Nancy Mitford's essay on the English language. So, Noblesse Oblige. A lovely hat and scarf set. I hope you will enjoy knitting it. But let's talk about Nancy Mitford's essay briefly. Found in Noblesse Oblige, "The English Aristocracy" is her most famous essay. Nancy Mitford had recently read an academic article by a British linguist and was inspired to write her own examination of how the British upper class ("U") and the middle class ("non-U") spoke. The essay is very much of its time - apparently only non-U people would speak of telephones! - but that is also part of its appeal. It is a snapshot of a world in transition where old notions of class and importance are slowly eroding. It is particularly interesting to compare Mitford's essay to Grayson Perry's TV documentaries about Class in Britain. The economic barriers between the classes may have eroded, but cultural markers such as language and taste have not. "The English Aristocracy" is an early example of what we know today as sociolinguistics. A "sociolect" is a type of language associated with one socioeconomic class, age group or gender. The British 1990s sit-com Keeping Up Appearances uses Mitford's little U vs non-U markers and sociolects to great comic effect. The main protagonist, Hyacinth Bucket, insists her surname is pronounced Bouquet, and she keeps grasping at big, fancy words in her attempt to sound more refined (something Mitford notes is the true mark of a social climber - why use the word "lavatory" when "loo" is perfectly adequate?). The underlying class anxiety so evident in Mitford's 1950s essay is very much visible even forty and fifty years on. If you have half an hour to spare, I suggest you read Mitford's little essay in Noblesse Oblige - I assure you that you will notice amusing little things about how you and the people around you speak. Now for the important pattern details: you can buy the pattern from Ravelry here. 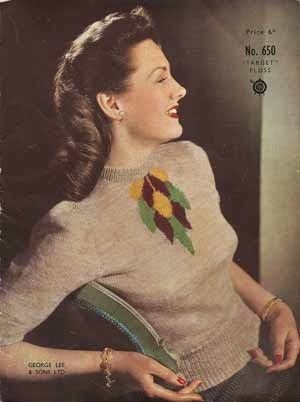 It is £4 and the pattern uses five shades of Fenella. Susan is planning on offering a kit which you will be able to buy from her shop. It has been marvellous working with Susan on this pattern - she understands my shorthand descriptions so very, very well and has an incredible eye for details, style, and colour. I also really enjoyed working with Fenella which has a such lovely bounce in its step. I often get asked how I ended up doing what I do for a living. Now that is a very long story - so I often just explain that I'm the fifth generation of very crafty, creative women. It's a simplification but it is also the truth. In 2011 I exhibited knitted art at Glasgow's Tramway gallery - my Homebound piece explored how the act of making tied my family together and how we make ourselves through the act of creation/crafting. Today added another chapter to the story as I received a parcel from my lovely mum. I own many handmade things handed down to me: a big blanket made by my great-grandmother; Hardanger-embroidered table clothes lovingly made by my gran; a christening gown which I believed was first sewn by my great-great-grandmother (then altered by my glamorous aunt Grethe); knitted cardigans and various embroidery pieces .. but I do not own many things made by my mum especially for me. That changed today, though. My mum asked advice on colours, but otherwise this is her work. The squares are neatly joined with crochet and all ends are neatly woven in. My mum has always been very meticulous about her finishing - every time I weave in ends, I think of her! 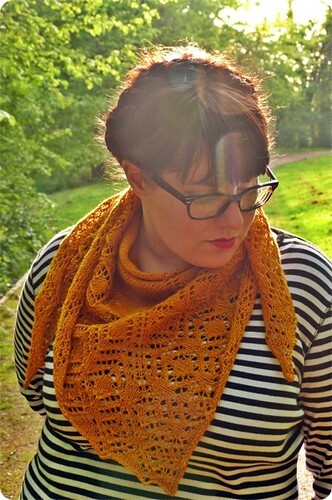 She used this Garnstudio pattern which surprised me as she usually just makes things up as she goes along. She was fairly faithful to it, though she reported she hated the edging and wishes she had just used one of her own ones. She's a Westermann, alright! When I teach crochet, I tend to joke that my mum thinks I cheat by using relatively heavy yarns (i.e. double-knitting and worsted-weight) when I crochet. Mum usually uses fine hooks and fine yarns, but her new love for making blankets obviously translates into heavier yarns. And I think that is interesting: we develop and change as crafters throughout our entire lives. The new blanket suits our living room - and I am very, very pleased to have received it. Do you think I could get away with asking for some matching pillows? Pre-order Doggerland - Join the Journey. After so many months of hard work, Doggerland: Knits from a Lost Landscape is finally available to pre-order through Ravelry. 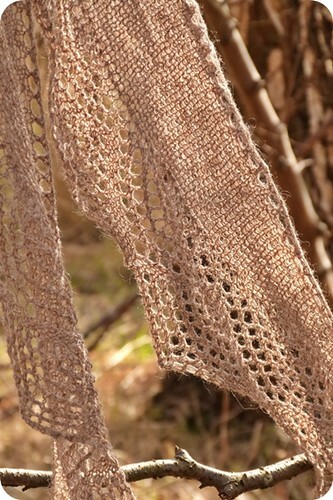 The first pattern will be the Ronaes Shawl (as seen in the photos) but I will write more about the shawl when I release it on June 10. The idea for the Doggerland collection first came to me when I was looking at artefacts in the National Museum of Denmark's Prehistory section. I was looking at a bone antler fragment carved with beautiful, simple designs when my partner started reading aloud a piece about the lost region of Doggerland – a Mesolithic landscape now lost to the North Sea between the UK and Scandinavia (Mesolithic means "Middle Stone Age"). I loved the simplicity of the carved antler and I loved the story of a lost landscape that once formed a land bridge between Denmark (where I grew up) and Britain (where I now live). It is difficult to determine what types of textiles Mesolithic people made, what materials they used and how they wore their clothes. Textiles are made from organic materials and therefore they decay over the thousands of years between the Mesolithic Era and today. Occasionally archaeologists unearth tiny treasures: a maritime excavation off the coast of Denmark discovered one single thread of spun plant material, for instance. The Doggerland collection does not seek to recreate Mesolithic textiles - but it wishes to prompt the imagination. Choose your materials with care - and think about the landscape and environment to which they belong. Designing this collection was an exercise in psycho-geography for me and I would like to think that knitting these designs will become a journey through your personal landscapes too. I wanted to tell the story of a lost landscape but also remind you that we all walk in landscapes like Doggerland. Where we live was once covered by sea and in time will once again be covered. The Mesolithic hunter-gatherers who lived 10,000 years ago were not all that different from you and me. Doggerland: Knits from a Lost Landscape is available to pre-order until June 10. It costs £12 which is a special pre-order price (on June 10 going forward it will cost £15). The patterns will be released every few weeks and will be available as single downloads at £3 each. Phew. I feel emotionally drained now! Yesterday was such a lovely day. It was finally warm enough to walk around without a jacket, the rain stopped, and the bluebells were out in full force. Dave told me to put on some lipstick and head out for an impromptu photo shoot. 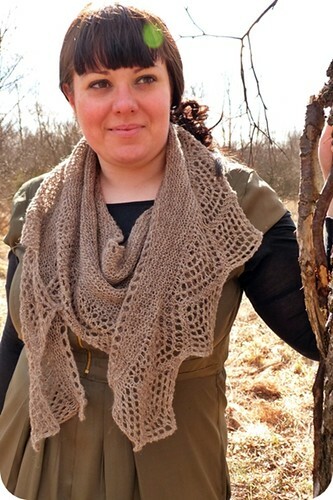 I recently had the rights to my Kirkja shawl returned to me, so I grabbed it off the shelf. I love its rich, warm yellow hue and it looked so beautiful in the hazy sunshine. You may know that my paternal grandmother was Faroese. I have had some great conversations with Fiona from The Island Wool Company about the wealth of inspiration I gain from North Atlantic knitting traditions. Kirkja is an example of my magpie tendency: rather than sticking to traditional shapes and patterns, I wanted the shawl to reflect the Faroese love of geometric patterning and simple shapes. So, it's an updated, funkier version of a traditional Faroese shawl: no garter stitch, no shoulder shaping but some neat straight angles. You can now buy Kirkja straight from Ravelry (right here) - it was designed for one hank of luxury handdyed sock yarn (my shawl is knitted in Old Maiden Aunt Superwash Merino 4ply in "Buttermint") and 4mm needles, so it's the ideal stash diving project! Kristen has knitted a beautiful Kirkja in a neutral-green hue, so if you're not one for bright colours, check out her ace version. Casa Bookish has seen quite a few friends pass through Glasgow over the last few weeks which has meant I've had to spread my workload really carefully and keep social media interactions to a minimum. Unfortunately it also meant that I didn't have time to write my customary Eurovision blog entry this year - but I have received a deluge of lovely messages after Denmark's win (my personal favourite finished fourth, though). Thank you! Now back to working on more lovely things. It is always so nice when I am getting close to the point where I can start to write about them!